WASHINGTON -- Justin Trudeau says he pushed for an exemption on Canadian steel and aluminum imports to the United States during his phone call this week with Vice-President Mike Pence. The prime minister says the government is pushing the U.S. on multiple economic fronts, including getting a deal on a renegotiated NAFTA. That is on top of intense effort by Canada, the U.S. and Mexico to get a deal on a renegotiated North American Free Trade Agreement in time for the current iteration of the U.S. Congress, and ahead of what's expected to be a turning-point election in Mexico on July 1. 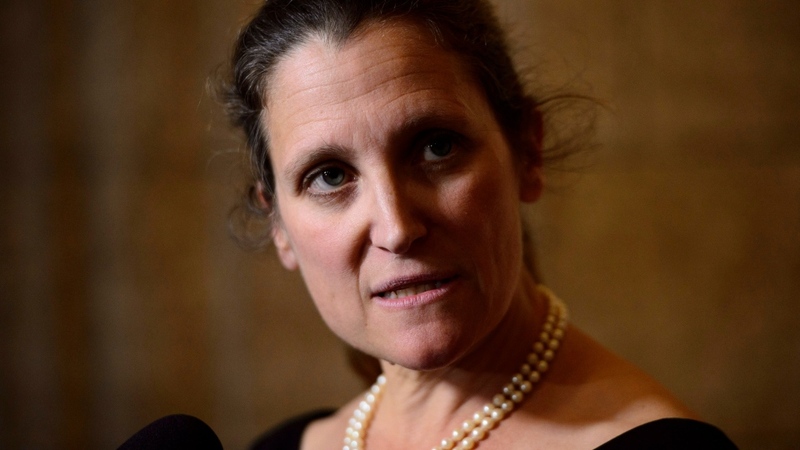 Foreign Affairs Minister Chrystia Freeland pushed the steel and NAFTA issues during her meeting Tuesday in Washington with Trump's trade czar Robert Lighthizer. Freeland left Washington empty-handed earlier today, while Lighthizer and Commerce Secretary Wilbur Ross were off to Paris to talk tariffs with nervous European Union counterparts.